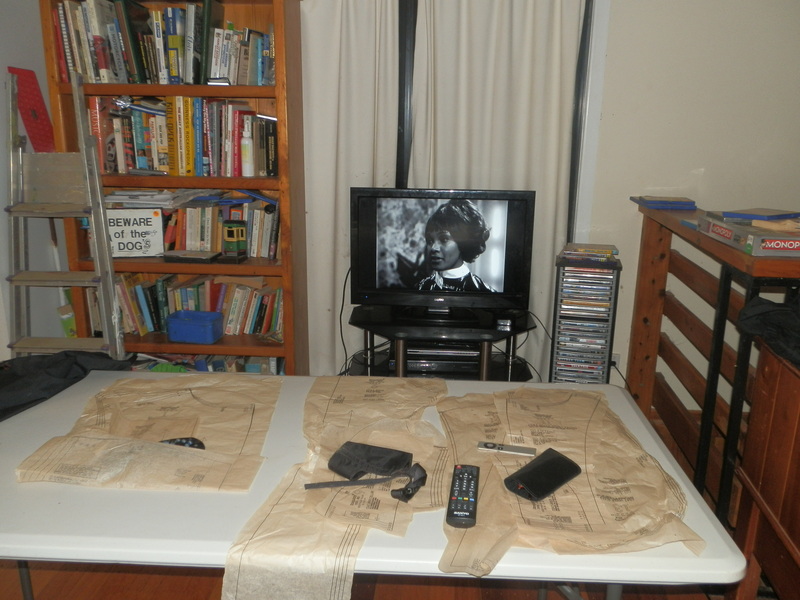 There’s the distinct smell of bushfire in the air as I recommence work on the Troughton Frock Coat. Living on an island, a block from the water, means I’m blessed by frequent sea breezes. Wind, however, wrecks havoc on Cosplay sewing. I’m ready to pin the remaining 12 pattern pieces to the fabric when I discover that the neatly ironed pieces have scattered around the ground floor of my home. Putting them on top of a large garbage bin had appeared rational at the time. Who ever could have imagined that pre-teen children would possibly have removed the weight, lifted the lid and put garbage in? 🙂 From the living room to the adjoining bedroom the pieces were spread. Beneath lounges, inside washing baskets and under doonas the pieces were found. But one was missing. Where was number 12 – the coat lower front facing? After much effort it was located hidden under a bed. Eureka! Work can recommence. At last the Frock Coat pattern pieces are located and work can begin again. 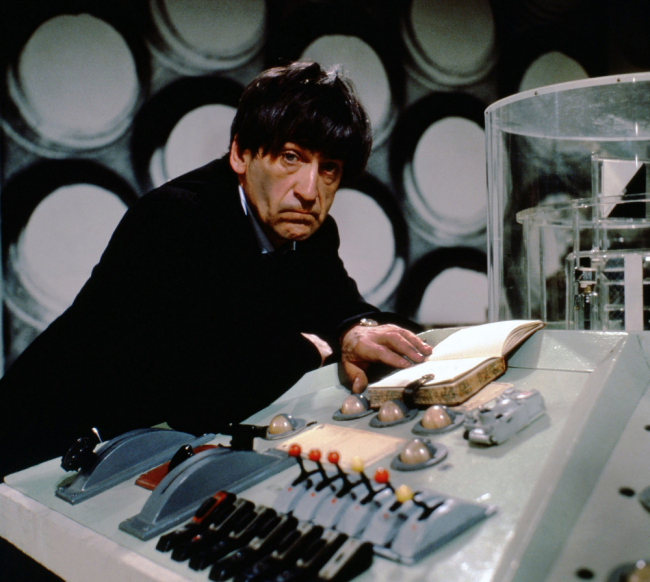 For a while I thought that the Troughton Frock Coat’s career would be as short as Fariah’s, Salamander’s Food Taster in The Enemy of the World. Glasses, dog muzzles and remote controls are used to weigh the pieces down from the wind.